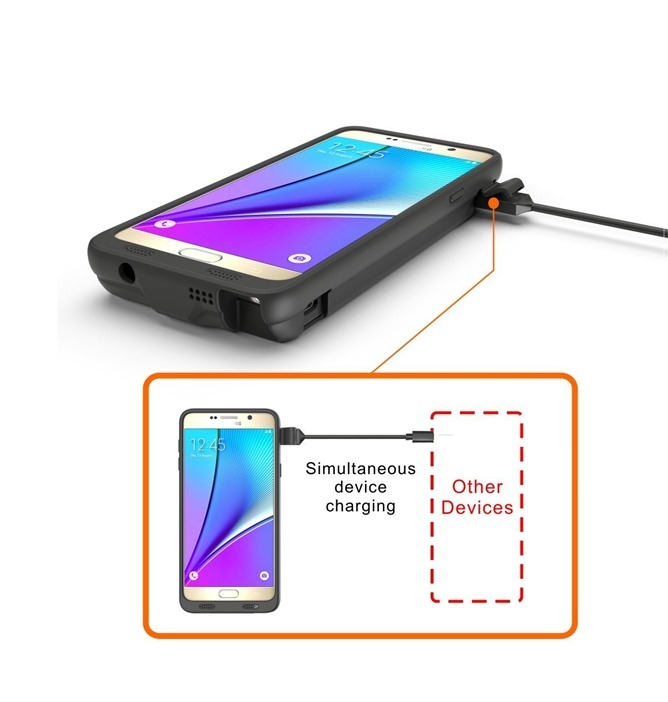 The math works out to almost 3X battery life on a fully-charged case, plus the runtime of the phone's internal battery, though the electrical inefficiency of the external battery system probably means it won't last quite that long. 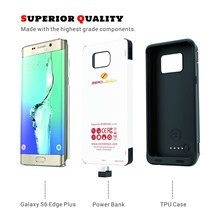 Even so, triple the normal runtime with the case and phone fully charged seems like a more than reasonable prediction. 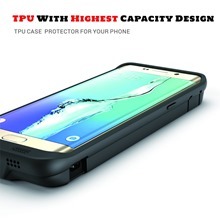 As usual with ZeroLemon designs, the case includes cutouts and tabs for all essential phone functions, and the pass-through charging port supports Qualcomm Quick Charge 2.0 (for the phone's battery, not the case's). It's all topped off with an external power button and an LED charge indicator. 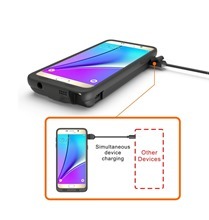 There's even a bump charging port that allows other devices to be charged from the external battery. 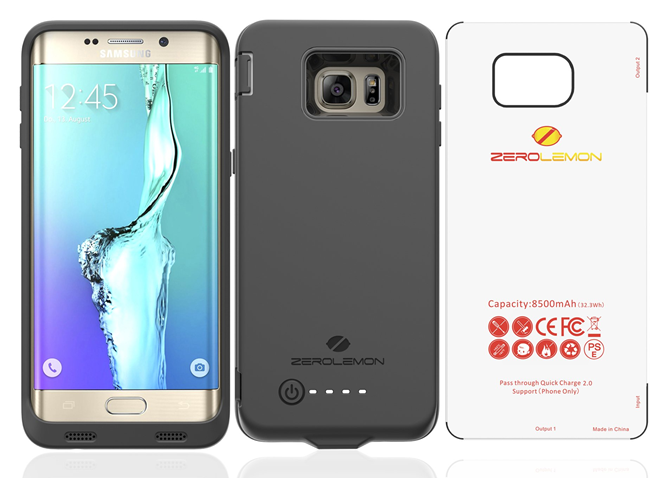 ZeroLemon says that the Note 5 case is 165.1 x 83 x 21.1mm, which more than triples the thickness of the phone and adds a significant bezel. Ditto for the Galaxy S6 Edge case. 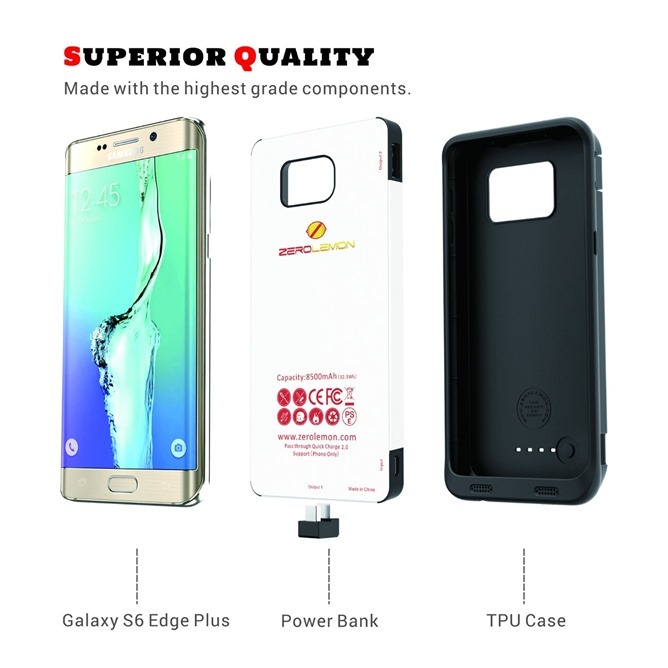 But that's a small price to pay for all that extra battery life. Whether or not the $59.99 retail price on Amazon (with free Prime shipping) is a small price is in the eye of the beholder.